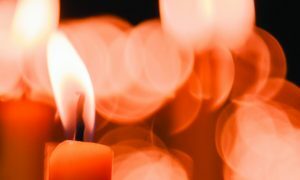 It is estimated that, as veterans of World War II and Vietnam are aging, around 1 million memorial services are performed in our country each year, 12,000 in Wisconsin alone. By law, an eligible veteran is entitled to at least two uniformed service personnel at his or her funeral who will fire the customary three rifle volleys; fold the flag and present it to the next of kin; and sound the emotive 24-note bugle call known as “Taps”. But there is a severe shortage of military buglers to handle the great number of ceremonies. In light of this shortage, Columbus Catholic Schools in Marshfield have stepped up to honor these great men and women. 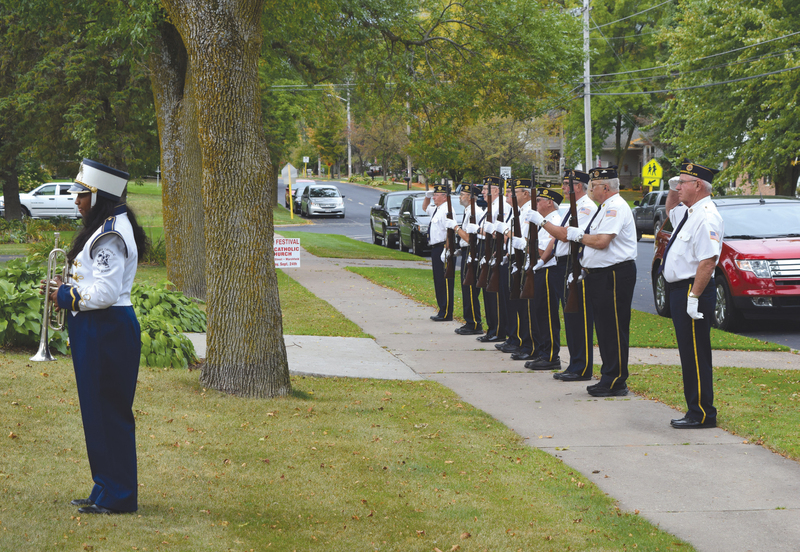 In an attempt to remedy the shortage, in 2002, the Wisconsin Department of Veteran’s Affairs instituted a program to encourage capable middle and high school students to play “Taps” for military funerals. In 2003, they petitioned the Wisconsin Legislature to create a tuition voucher program for those students willing to help. The 2003 Wisconsin Act 42 grants an excused absence and a $25 college tuition voucher to students in grades 6-12 who sound “Taps” on a bugle, trumpet or cornet at a military funeral. Wisconsin seems to have led the charge and remains one of the only states to feature such a program. Sadly, recordings are being played in place of a live sounding of “Taps” due to the shortage of proficient players around the country. Programs like these are essential to provide veterans a proper last respects. 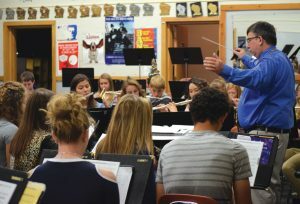 Columbus Catholic School’s band director of 35 years, Thomas Zimmerman, is no stranger to Wisconsin’s “Taps” program. After being contacted by the Marshfield Veterans of Foreign Wars (VFW), he was asked to be on the initial judging panel in Mosinee in 2002 for students who auditioned. Zimmerman encourages his trumpet students to take part in the “Taps” program, and many have taken him up on his offer. Three years ago, one of his students earned nearly $500 in tuition credits for his soundings at funerals. 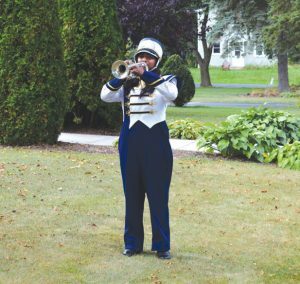 Columbus junior Anna Fischer offers her trumpet skills to honor veterans. Most recently, she sounded the call on Sept. 18 at the funeral of a lifelong Columbus supporter, William Nugent, who was also a Navy veteran. The custom of playing “Taps” at military funerals was begun in 1862 when Capt. John C. Tidball was burying a cannoneer from his battery while the enemy was close. It was not safe to fire the customary three volleys or shots over the grave, as he worried it would renew fighting. So “Taps” seemed to him the most appropriate substitute. 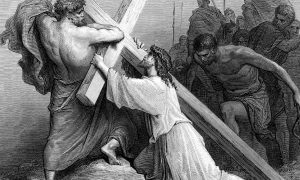 It became a standard component of military funerals in 1891. 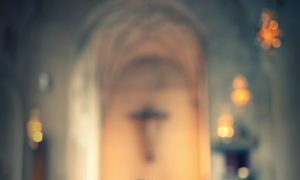 As the tune’s first caller, Oliver Wilcox Norton, said, “There is something singularly beautiful and appropriate in the music of this wonderful call. Its strains are melancholy, yet full of rest and peace. Its echoes linger in the heart long after its tones have ceased to vibrate in the air.” It seems the perfect tribute to veterans as a final honor. Not only does Zimmerman encourage his trumpet players to honor veterans, he gets the whole band involved. 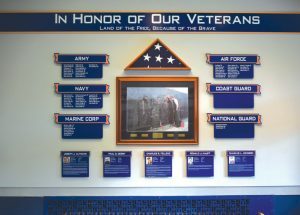 Having many family members and previous students serve in the armed forces, he places great importance on showing them gratitude, as does the Columbus community, which proudly displays the names and photos of their military alumni in the entryway of the high school.